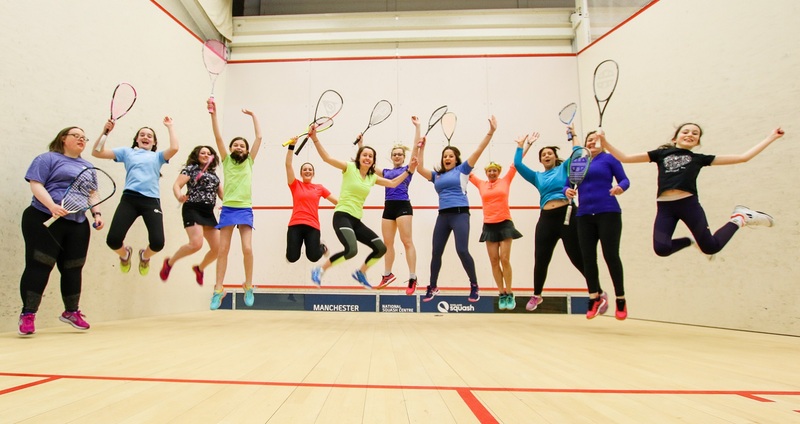 Squash Girls Can is a national participation campaign which celebrates women up and down the country playing and coaching squash. We aim to inspire and encourage more women and girls to pick up a racket or coach and spend quality time together whilst getting fit and having fun. Help to inspire more women and girls. If you're already delivering female-only sessions that meet the 4 criteria you're ready to join the campaign. All Squash Girls Can sessions and participants must be recorded on the England Squash app. Log in using your England Squash membership details. Engage more women and girls to your club or facility - be it competitively, socially or fitness-focused. Access to coach development opportunities to increase number of female coaches at your facility. Increase the usage of your courts and drive more revenue through your facility. Be part of a successful, internationally recognised campaign. Gain access to tips and resources with our Squash Girls Can toolkit. Receive information about new initiatives for you to access within the Squash Girls Can campaign. Receive giveaways to support your Squash Girls Can sessions linked to the use of the England Squash app. Find or train someone to lead the session - this could be a coach or leader. The sessions should be female-only, social and friendly, beginner-friendly and low cost. Pinpoint a suitable time for your target audience. Add your sessions to our session finder so we can help you promote them. Advertise your sessions online and offline - this could be via your social channels or a poster at your venue or your local post office. Our Squash Girls Can toolkit features images, posters and top tips for promoting your sessions.